Have trouble letting something go? Do you have a hard time looking someone in the eyes? Are you holding a grudge? If you get anything right in ministry or life for that matter, get this… reconciliation is THE priority. If you don’t practice this on a regular basis then you are not demonstrating what God has done for you. Unfortunately, the enemy has you right where he wants you too. In ministry you can choose to emphasize or run away from reconciliation. Often you will find those you lead in these situations. After some pretty brutal storms of my own, I now look at these hard times as an opportunity to display what Christ has displayed for us and lead others through it. Having been wronged or wronging others, my experience has been deep and wide. I’ve had reconciling moments with my wife, senior pastors, direct supervisors, my peers, and even those I lead. It’s the access to a beautiful gospel that allows this reconciliation. I have never been shot down in an attempt of reconciliation when wearing my all-purpose garment. People can smell love a mile away. Likewise, they can smell a forced apology. Listen to the other party without interrupting. Follow up with an email, phone call, or text thanking them for hearing you out. Take your street for Jesus. 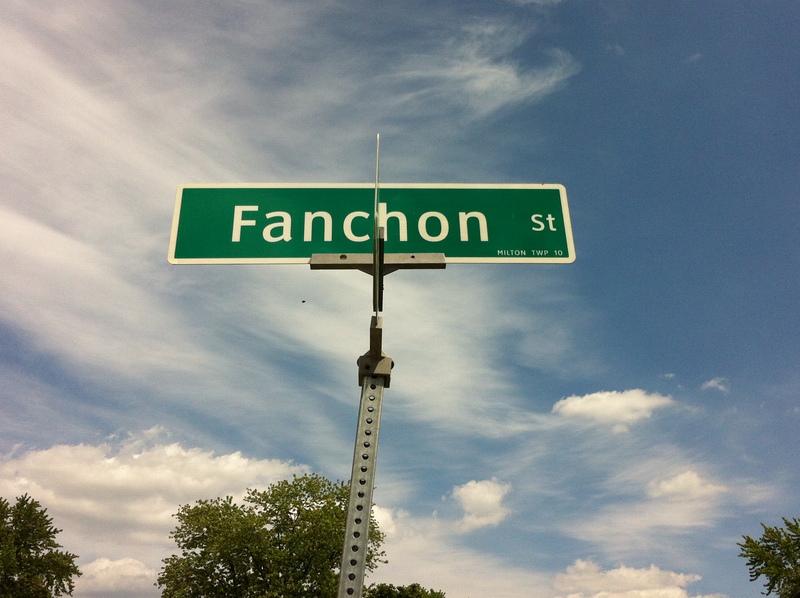 Fanchon St. – Our rental has been quite the fixer-upper for my wife and I during our first year of marriage. Our honeymoon house. The home was built in the 1920’s and moved to Fanchon St. in the 1940’s (our landlord is a house mover). Along with character it has bubbling plaster walls and uneven floors. Since moving in my father-in-law and I re-walled the bathroom, Calla and I painted the whole place and I transformed a dirt pile into a yard with grass and a garden! The first night after our wedding we came home to pack for our honeymoon, it was storming pretty bad…the ceiling in the living room was bowed with a crack down the middle gushing water all over the newly installed carpet!!! Needless to say we still packed, threw some buckets under the leaks and jetted out the door for for our honeymoon. Oh the beauty of renting and not owning! And yes…I did call my landlord once we pulled off Fanchon St.
We drove 12 hours north to the quaint, boundary waters town of Grand Marais, Minnesota. There we enjoyed the great outdoors and a beautiful cabin overlooking one of Minnesota’s 10,000 lakes. One week later we sank back into the reality of “real life” on Fanchon St.
We were the only married couple on our street when we moved in last year. Our neighbor on the left is a recently divorced man, to our right an older single woman whose boyfriend visits on the weekends. Across the street a family with many kids from different marriages, the current couple is not married….and more identities unfolded over the year as we got to know our neighbors. We picked up the bits and pieces on what all these people shared in common…a longing for community. My wife and I began praying for our neighbors…that we might have the opportunity to be Jesus to them. Our prayer and dreams began spinning out of control as we prayed for months and months that we would have opportunities to love our neighbors, serve our neighbors and help build the foundation of a community that would be centered on the hospitality and grace of Jesus. Nothing happened. Sure, there were good conversations here and there…times we were able to share our faith stories with them…but nothing really happened. Our prayers, hopes and what we were wishing for were not lining up with the reality that Fanchon St. was still the same old Fanchon St.
We had to take initiative…our hopes needed to be followed by action. We decided to have a campfire in the backyard and invite everyone over for s’mores! We made it a BIG DEAL and let them know all about it by printing off colorful postcards and putting one in each mailbox…it was titled “Friday on Fanchon St.” The incredibly small investment of time, intentionality and an invitation paid huge dividends for the kingdom of God. That night everyone showed up, parents, kids, a baby, and around that campfire we had COMMUNITY! As if we couldn’t ask for more, one woman stayed particularly late and we had the opportunity to unfold the love of Christ in the gospel story and share how we know the Bible is historically accurate. Need I say more? Take your street for Jesus. They are longing for community, more than that – longing for the person of Jesus Christ.